So, I am working on a cartoon idea with this guy from this comic. His name used to be Clay-Bob. But upon revisiting him, I have realized that’s just SpongeBob with one word changed. 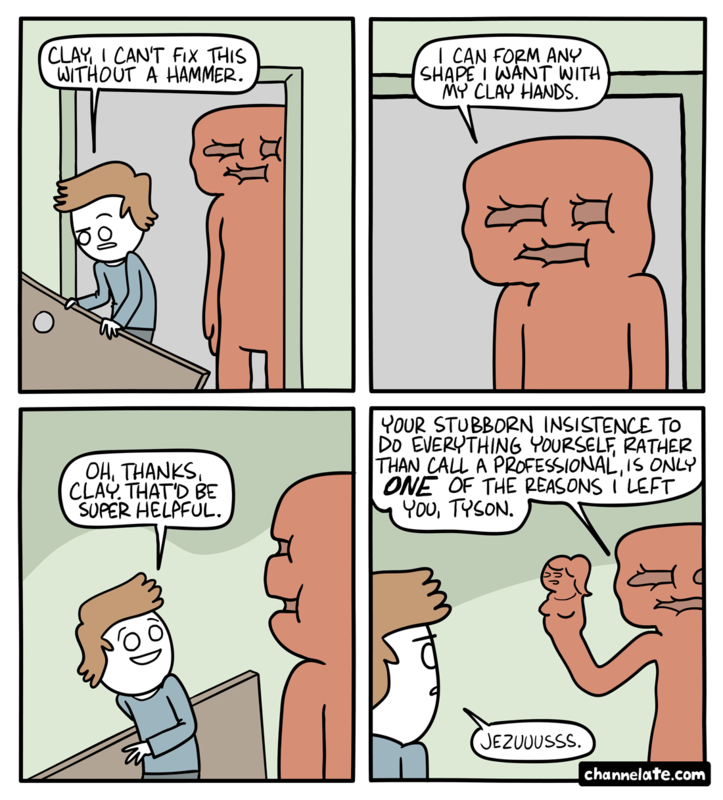 So for now, he’s just Clay.